2:00 PM - 5:00 PM WhichDoctors Acoustic Duo WhichDoctors Bobby and Jeff playing Beatles to Nirvana. 6:00 PM - 10:00 PM Saturday evening with The Tree Frogs The Tree Frogs We will be playing some great classic tunes from the '60s & '70s! Don't forget to bring your friends! 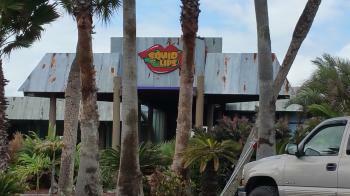 2:00 PM - 6:00 PM Rock n Reggae @Squid Lips - Cocoa Beach Jeff Marquis Rock n Reggae @Squid Lips - Cocoa Beach! Always good time! 2PM - 6PM London Ink returns to our old neighborhood in S. Cocoa Beach London Ink Experience L I-Reggae, acoustic rock, originals and much more! 6:00 PM - 10:00 PM Rock n Reggae @Squid Lips - Cocoa Beach Jeff Marquis Rock n Reggae @Squid Lips - Cocoa Beach! Best Sunsets in Cocoa Beach with Sweet Reggae Music!! 6:00 PM - 10:00 PM We're at Squid's Cocoa Beach! Stay Tuned A fantastic location by the river with your favorite acoustic tunes! 6:00 PM - 10:00 PM Friday evening with The Tree Frogs The Tree Frogs We will be playing some great classic tunes from the '60s & '70s! Don't forget to bring your friends! 2:00 PM - 6:00 PM Stay Tuned at Squid's Cocoa Beach! Stay Tuned Come by boat or by car and join us on the deck for your favorite acoustic tunes!